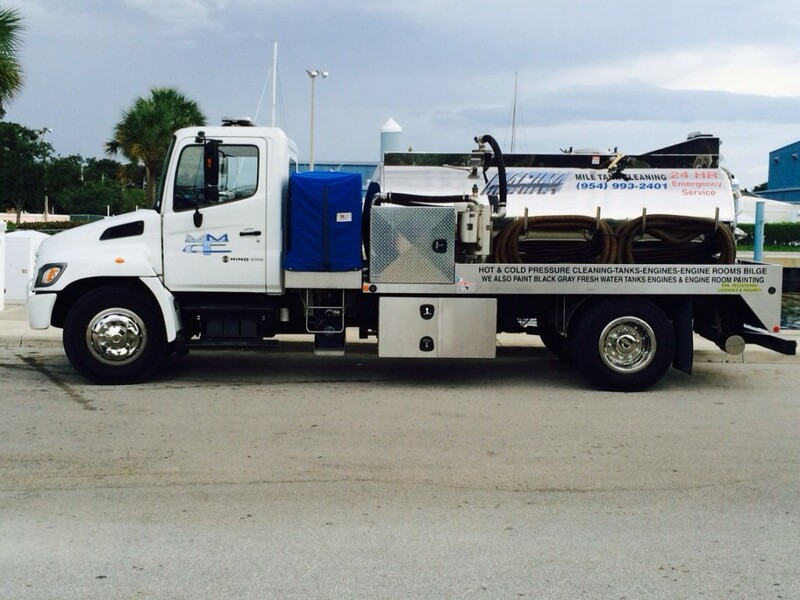 Marina Mile Tank Pressure Cleaning Service in Fort Lauderdale, Broward County Florida offers top of the line marine expertise, care and professionalism when taking care of your marine yacht, boat, or luxury liner. We provide 24 hour service and available 7 days a week. Marina Mile Tank cleaning has a long list of satisfied customers. Marine pressure cleaning is something that should be done at least on an annual basis. Our staff are experienced in cleaning engine room, laz bilges and various tanks such as lube oil, fuel, gray, black, and fresh water tank. We also provide blasting and coating.